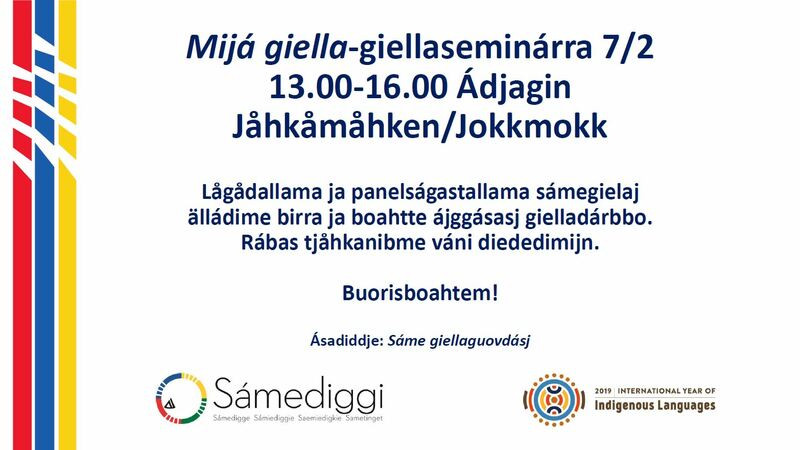 The Sámi Parliament in Sweden is pleased to invite you to Mijá giella – Sámi Language Seminar in Jåhkåmåhkke/Jokkmokk on February 07, 2019. The seminar is held at the Ája building during the traditional Jokkmokk winter market week. The seminar offers lectures and a panel discussion on the revitalization of Sámi language and future language needs. The seminar aims to draw attention to the UN International Year of Indigenous Languages in Sápmi. During the seminar we will hear proffesional voices about the situation of Sámi languages, how the Sámi languages ​​can be strengthened, transferred to coming generations and what linguistic needs exist for the future. This is an open arrangement, no prior registration is needed. Celebración del Día Internacional de la Lengua Materna. Ciudad Juárez Chihuahua, México.